Gift case made up of two of the best Oleoestepa Gourmet Oils. This type of Olive Oil are especially made for lovers of premium oils. The case contains 1 bottle of 500 ml. 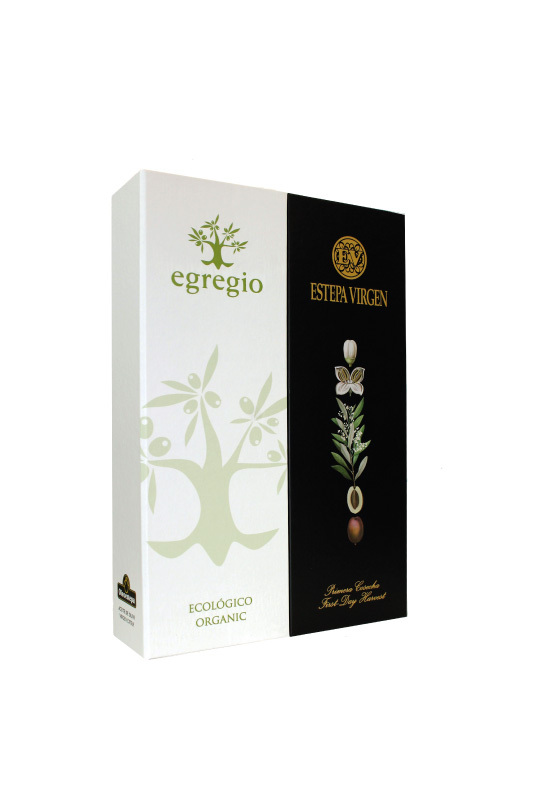 of Estepa Virgen Premium EVOO, made with a selected olives of a high quality, and 1 bottle of 500 ml. 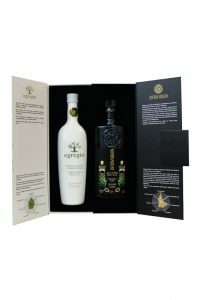 of Egregio Premium EVOO, made with organic olives. Estepa Virgin Premium EVOO is an expert selection of all of the varieties of olives grown in our region. The olives are harvested very early, when the olive is turning color (from green to purple), resulting in an excellent extra virgin olive oil with an intense green color. On the nose there is a smell of freshly cut grass and green fruits. The palate is dominated by green nuances, and provides a pleasant burn and bitterness that are very balanced. The oil is best consumed with bread, salads and pasta dishes. Egregio is our premium extra virgin olive oil produced from our organic olive groves with the hojiblanca and picual varieties. It is very fruity, with aromas reminiscent of green olives, and hints of ripe olives, freshly grass and artichoke. Spiciness and bitterness are mild and balanced and there is a hint of sweetness. This oil is ideal for green salads, fresh cheeses and cold soups.